This is the best way to explain what we do everyday, what we see and what we feel while doing it. For animal lovers like me, animal rescue is the most incredible, rewarding job… in the history of ever. You see a lot of things… you never thought you’d see. You witness a level of cruelty… you didn’t think was possible. You feel a degree of helplessness… you never thought you’d know. You stare at painful images… soon burned into your memory… that will haunt your thoughts forever. You try to pick up the pieces… so many pieces… of the damage you didn’t do. You do everything in your power… but even still… you’ll never reach them all. You’ll try to stay strong… but you’ll mostly feel weak. You’ll build walls to protect your heart… but they’ll never keep you safe. You’ll place barriers around your soul… but the pain will always reach you. On a daily basis… your faith will be tested. Your heart will be wounded. On a weekly basis… you’ll question yourself. On a monthly basis… you’ll fall down. In those moments, when you look into their eyes… every doubt will be erased. Rescue is worth it… because they are worth it. It was a warm and sunny afternoon, a lovely breeze blew through open windows and the tinkling of wind chimes faintly played their lullaby. Her little eyes began to shut as the warm summer air ruffled her feathers ever so slightly. All the sounds of her home began to fade as she drifted into a little summer nap. She was so warm and cozy and began to feel a memory of something….maybe from long ago. Maybe this was just another dream or a memory that was not hers. It came from a place so very far away and while it seemed so familiar, she knew she had never seen this place before. The air had such wonderful aromas and she could almost remember tasting the tropical plants and berries that she saw. She watched as many birds were playing in a nearby pool of water, while others seem to play a game of tag flying up and down and above the trees. It was so beautiful here and the birds flew so high, there were no ceilings to stop them or doors too keep them in. She had never flown so high before herself, and that thought of doing so, made her a little frightened. How would they get back down, who would be there to help them. But as she watched these other birds flying, she saw how very happy they were, they had no fear as they flew and manipulated their way between the trees, it was as though it was something they had done all their lives. She began to wonder where the humans were, Could it be that these birds were all by themselves. There were no cages for them to go back into. There were no food bowls, swings or perches. She became frightened for a minute, who would bring her food and make sure she was safe, how could she survive out here with no humans to care for her in this wild place. As she watched on though, she saw that none of the birds were afraid. She could feel their happiness and that this was their home. They were allowed to live freely and fly about as much as they wanted. That brought on another thought, she wondered who chose? Who decided, who would remain free and who would be in cages? The thought was perplexing and a bit sad. Why had it been decided she would live in a humans home, was she too weak to live in this wonderful place? Was she not like these other birds in some way. The thought only made her more sad and confused. Another little breeze blew through her open window and she wakened from her little sleepy nap. She was once again in her safe home with her loving human, who took such good care of her. She loved this person, they gave her good food and loving little snuggles and scritches. They made sure she was safe and healthy. They gave her everything she needed. However the memory of that other place lingered for a few minutes longer….. what a wonderful place that had been, she wished she could visit there again. She secretly wished she could live in such a place and fly as free and high as all those other birds. When we support a group, cause, organization or mission…we need to realize that our actions are a direct reflection on the very causes we are trying to promote. 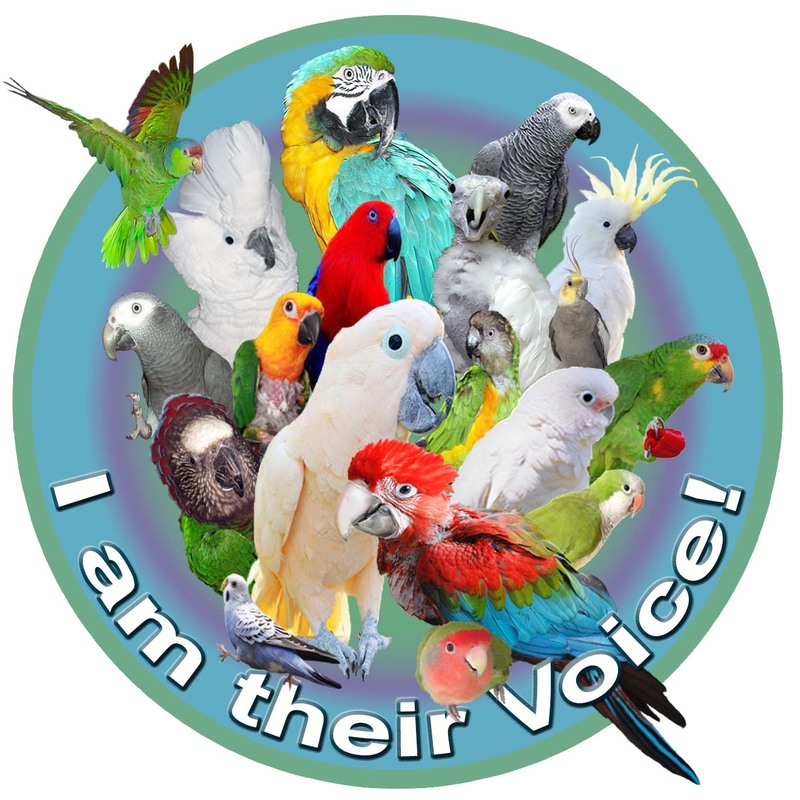 We here in the avian community represent many organizations, causes or missions. 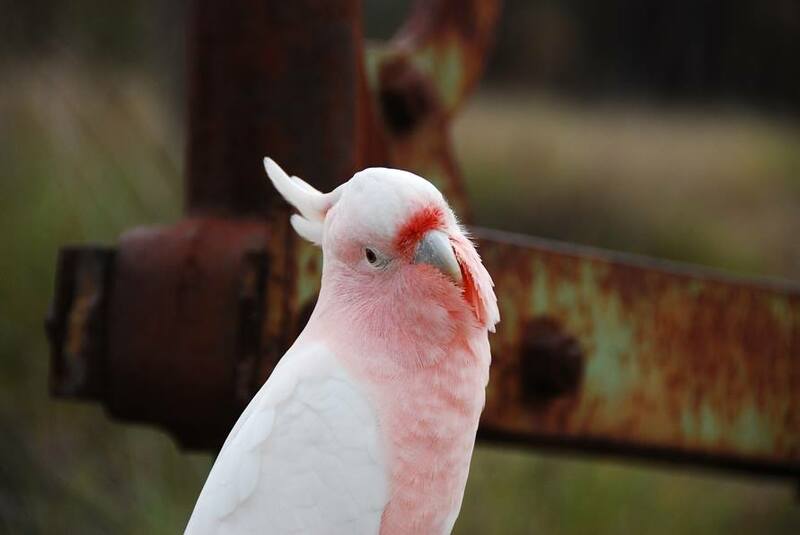 We strive to present our cause on behalf of all the birds who are in need. Rather it be educational, ethics, health, or raising awareness and funds for the large number of Rescues, Re-homing Organizations, and Shelters that are in desperate need. 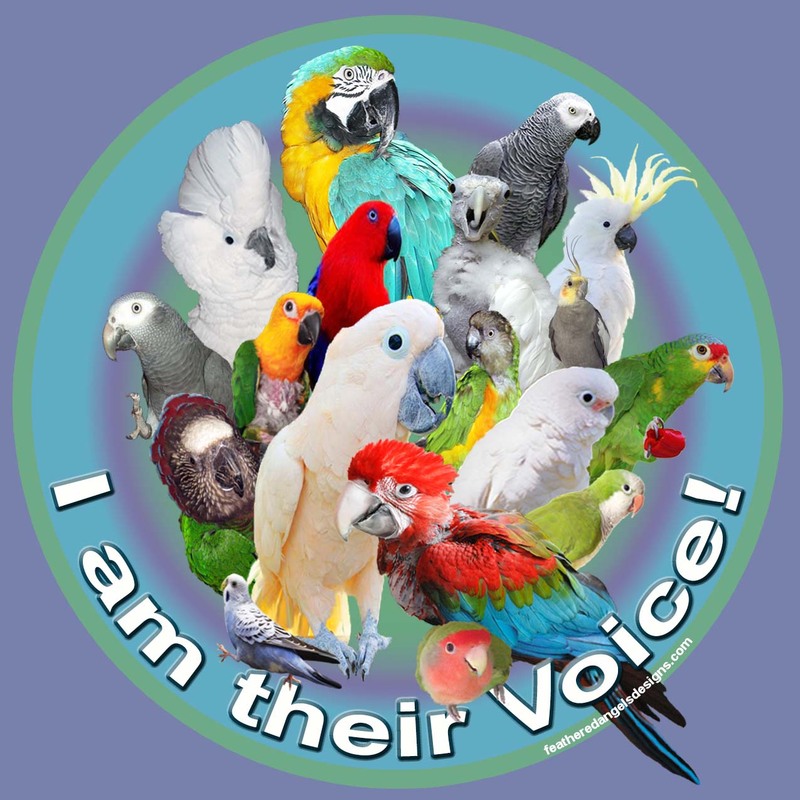 We are here trying to bring about awareness for our particular causes and in hopes of helping birds everywhere. In being part of any of the wonderful groups out there, comes a bit of responsibility on our part. If we truly want to do everything we can to help share and promote then we also need to make sure that we are representing these organizations in a fashion that will draw in favorable attention. We need to be accountable for not only our Words but also our Actions. 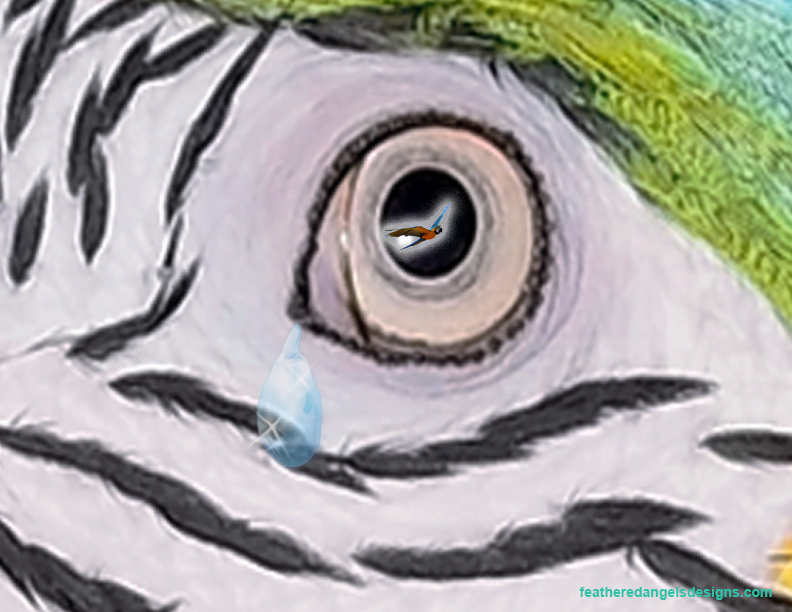 If we are hoping to share and receive empathy for these precious birds, then should we not also be conducting ourselves in a way that will shed a favorable light onto the very causes in which we represent? We are All accountable. If we represent or support a group and then go about in other places spreading hateful agenda, then we are hurting the very causes that we profess to be wanting to help. Our actions speak volumes on the type of people we are. If we are going about gossiping and trying to hurt the reputations of others who might be in a different group or organization, how is that going to be perceived by others. Will they feel that your cause is something they want to support or be a part of? In most instances the answer will be no. Our own actions have a direct effect on whatever cause we work for. If we are viewed as gossipy and trouble making then that is the kind of people we are going to be attracting to the groups and this will not help in the least. So in conclusion, if you wish to be respected and thought of well and expect others to follow your causes,Then you must practice a code of ethics that include morals, dignity and honesty. Be accountable for your words and actions… The old saying is still true today “Actions Speak Louder than Words”. What you do is watched far more closely than what you say, because your actions speak your true intentions and feelings. The last 5 weeks have been fantastic days in advocate work. I’ve been invited into 6 flocks with 6 different challenges, 5 different parrots and in 4 different countries. A veritable cornucopia of advocacy needs. Today, all 6 flocks are stable, happy and moving forward with better understanding and flock balances. Today 6 different flocks, in 6 global locations, with 6 different challenges were helped by one simple action. Empathy. There is no “fixing” problems with our flocks. In reality there are no problems. I’m less and less comfortable with the word fix. It implies something was broke. So you fix it. The reality is, when we find ourselves in a challenging situation with our parrot we have ceased to empathize with their context and moment. We’d rather just say, “I just want him to stop…” and get on with our day. Empathy is scary. For humans it can be unnerving because you have to literally allow yourself to honestly take in what another is feeling, experiencing and understanding. You have to make yourself vulnerable. You have to admit you are not the only one in the room, nor are you the most important. When practicing empathy a person must set themselves aside and pick up the others burden and perspective. THAT requires admitting their burden is as important as yours. And it may require you setting your burden aside to help with theirs. And we all know how important our stuff can be! So we don’t sometimes. We’ll admit we don’t understand. We’ll say we are sorry or we “feel you”, or the like. But in the end that’s a reflective move around the requirement of true empathy. It is not easy to see things from another perspective. The reality of it might just shed light on our own truths we are not willing to accept or are too stubborn to admit. Admission requires changes most times. 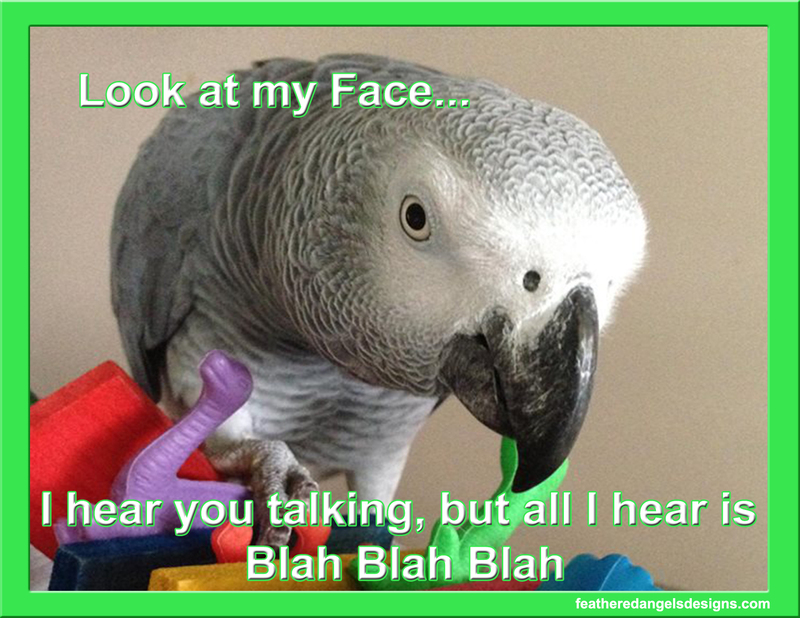 Empathy is the centerpiece at the table of a Successful Companion Parrot Lifestyle. Empathy allows all else to happen well. Without empathy there is no Art of the FlockCall. There is no communication, trust, and companionship. My first question to every email inquiry is simply, what do you think your parrot wants? 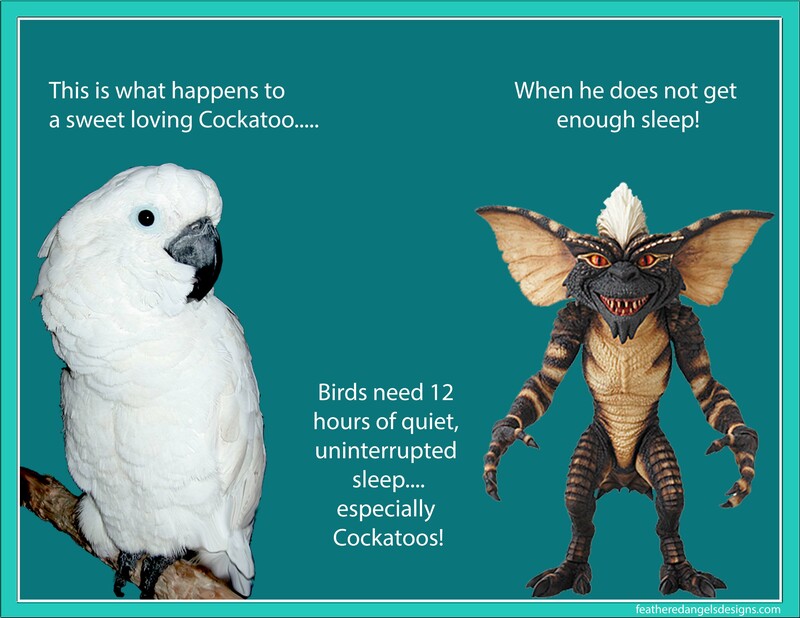 We all want our birds to step up, poop appropriately, not bite, not “scream”, eat well, and not eat the furniture. But what does our parrot want when they are not cooperating with our “wants”? Because that moment of challenge is simply two wants happening at the same time. We are totally aware of what we want, but we aren’t giving too much thought about what our companions are wanting. A screaming parrot wants an answer. A parrot that won’t step up wants assurances. A bird that prefers junk foods is no different than any other creature that has tasted their version of junk food. Empathy is required for our parrots and for our flock in general including the humans in the room. I tell every one that has gotten bit, do not take it personal. Because it isn’t. I suggest families struggling with multiple personalities and opinions on the companion in question sit down and admit what each person is wanting from this companion parrot. 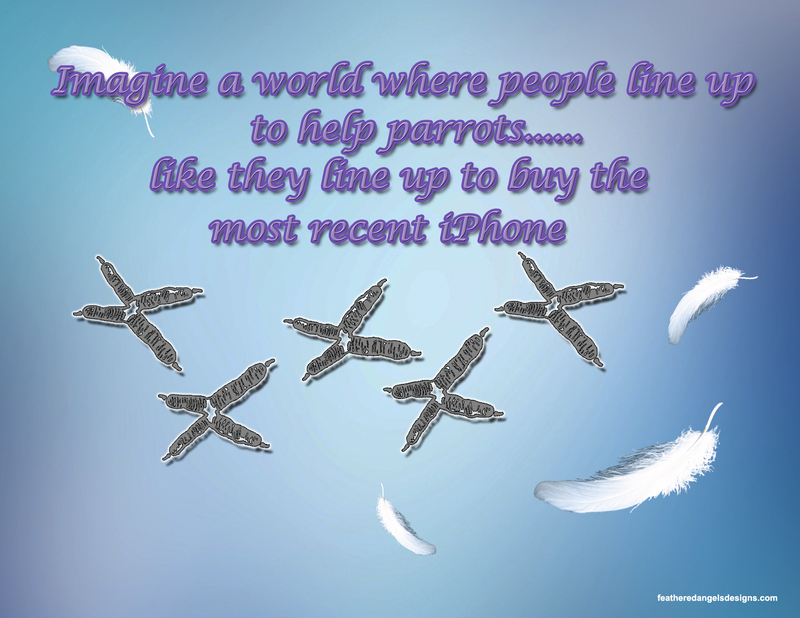 Because knowing what every one really wants, and then looking at each want as it is brought to that companion parrot illuminates the real issues at hand, for both sides. The Art of the FlockCall is centralized around empathy, and we build from there. Because seeing the other guy’s point of view is the solution. Balance requires empathy because there are two sides to every story and all kinds of ways for that story to lose itself in a cloud of misunderstanding. The Art of the FlockCall starts from the viewpoint of a companion parrot. They did not ask to be inside the human dynamic, so they get first dibs.